Cheap, easy to eat and pairs beautifully with a cold pint of Asahi! Skewered foods are some of the most popular street food in Japan. One of the main types of skewered food is yakitori which is mainly grilled chicken on sticks. 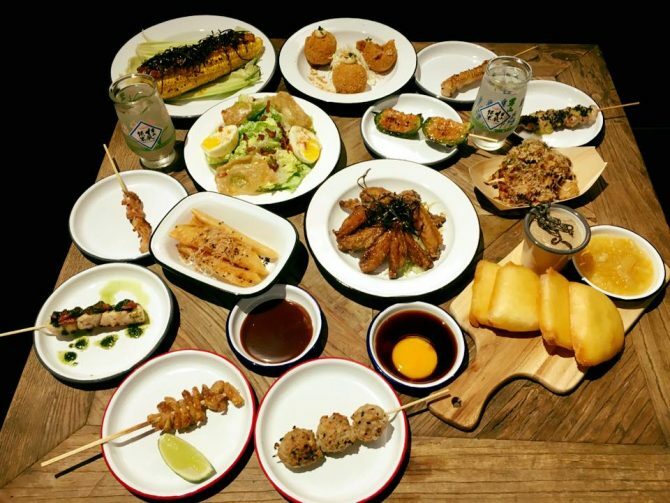 They are indispensable dishes that are part of izakaya menus, and Singapore has many Japanese eateries that dish out these skewers. Here is a list of 10 top places to get your yakitori cravings satisfied! Head to Tras street and check out Birders for a chilled, no-frills Yakitori dining experience. In line with its name, Birders serves up a repertoire of chicken parts on skewers. This casual-chic restaurant is the brainchild of celebrity, Adam Chen and (if that wasn’t enticing enough) the restaurant is also run by Chef Makoto Deguchi – a former sous chef at a Michelin Star restaurant, Sola, in Paris. The casual, modern vibe and of course, the tantalising menu are the reasons behind this eatery’s popularity.